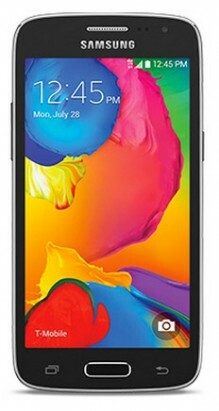 T-Mobile today announced the Samsung Galaxy Avant, which is a low-cost Android smartphone. The device features a 4.5-inch qHD screen, quad-core 1.2GHz processor with 1.5GB of RAM, 5-megapixel camera, and 16GB of storage with support for microSD cards up to 64GB. Other features include an FM radio, S Voice, NFC, Easy Mode, and Wi-Fi calling. The Samsung Galaxy Avant is available starting today for $216 or $0 down followed by 24 payments of $9 each.